"Art is anything you can get away with... destroy it all." 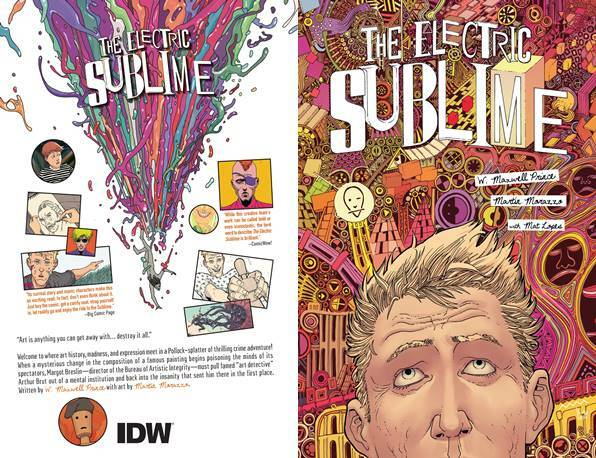 Welcome to THE ELECTRIC SUBLIME - where art history, madness, and expression meet in a Pollock-splatter of thrilling crime adventure! When a mysterious change in the composition of a famous painting begins poisoning the minds of its spectators, Margot Breslin - director of the Bureau of Artistic Integrity - must pull famed "art detective" Arthur Brut out of a mental institution and back into the insanity that sent him there in the first place.